Among the men of the Reformation, few sacrificed so much wealth as John Laski, also known as Johannes Alasco. He was born into a rich family in Poland, and had two brothers. One was a Polish diplomat in France, and the other was a well-known author. Laski’s uncle guided him into priestly orders, and helped John establish himself in the Polish Church. In 1523, John Laski and his brothers travelled to foreign universities. He met Zwingli in Zurich, who suggested that he study the Bible. Later the next year, He was invited to be the guest of Erasmus. Erasmus motivated Laski to study the Scriptures. 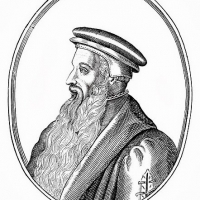 He met with other reformers and studied Greek, Latin, and Old Testament Hebrew. Upon returning to Poland, Laski’s status and experience made him popular in the courts. He called himself an ‘Erasmian’, and had plans to change the Polish Church. Laski even asked Erasmus to write a letter to the king asking him to remove the Roman rule from his country, which was unsuccessful. Laski’s friends and relatives ridiculed him and disapproved of his new beliefs. When faced with too much pressure while under examination in 1526, Laski gave in. He signed a statement saying he only believed what the Catholic Church taught. However, this was merely a way out of emergency and was not his true beliefs. When Laski’s uncle died in 1531, he felt free of Catholic restrictions. He wanted to bring his new, reformed doctrines into Poland. His new beliefs were against the Catholic Church, but he remained an active part of the Catholic Church by becoming a bishop and archdeacon. Laski left Poland for Germany to spread the Gospel in 1538. He visited Frankfurt, and then travelled to the Netherlands, and finally to Emden in Friesland. This area was called “the battleground of Anabaptists, Roman Catholics, Zwinglians, and Mennonites.” Laski settled here in 1540. He was poor and ill, and had married a peasant girl, giving up any hope of reclaiming the riches he left behind. He became a pastor in 1542, and soon became the leader of all the churches in the area. Laski wrote to Poland saying that he could return if needed. The King misunderstood this and offered him the position of Bishop, which offended Laski. He declared that he would no longer be affiliated with the “bishop’s tiara” or “monk’s cowl”. He worked hard at his goal of uniting the sects into one evangelical group. He started the Reformed Church in Friesland, and Emden became known as the “Northern Geneva.” He continued to work, and soon saw Roman ways give way to Christian practices. He organized the Church, started a school for preachers, and prepared a creed for his members. Laski disagreed with Luther, Calvin, and other reformers on views on predestination, incarnation, baptism and ministry. However, he wanted to reform gently and kindly. He said that “an error of the understanding does not render a man liable to punishment; but guilty intentions alone.” Laski became known in other lands. Soon, rulers and religious leaders consulted him. He discussed ideas with Bucer, Bullinger, Melanchthon, and others. The Duke of Prussia asked him to supervise churches in the area, but Laski refused. He didn’t want civil interference in Church matters including the oppression of the Lutherans. This made the Lutherans become enemies of Laski. Persecution drove Laski to England in 1548. Here he interacted with other reformers and religious leaders. He gave sermons and gained great influence in court. The king asked him to help with the organization of protestant groups within England. When Mary became queen, she dissolved Laski’s congregation and forced all the members to leave the country. In September 1553, he and 175 of his members departed England for Denmark. They hoped to find refuge with Protestants, but were not welcome. They then travelled through many cities, but did not find refuge until they reached Emden. Laski stayed there for almost a year. He then went to Frankfurt. In 1556, Laski received an invitation from his king to return to Poland to preach the gospel. He was welcomed warmly and placed in charge of the Reformed Churches. During his absence, the Reformation made great progress in Poland. The many religious groups in the area saw reformation as a way to rid the Catholic Church of its power. However, Poland, like Friesland, became the battleground between many of these groups. Laski was seen as a good mediator and coordinator between these groups. He had a gentle nature and moderate views. He struggled and worked hard at establishing a pure body of believers, and helped prepare a Polish version of the Bible. He succeeded in laying the groundwork for the Polish Reformation. He died January 13, 1560, at Pinczow, Poland. This article is adapted from Gideon and Hilda Hagstoz’ Heroes of the Reformation.